ULA says the strike won't affect its operations, including preparations for the July 31 launch of NASA's Parker Solar Probe on a Delta 4 Heavy. WASHINGTON — Nearly 600 United Launch Alliance workers at three sites voted Sunday (May 6) to reject the company's latest contract and go on strike. Machinists who are members of the International Association of Machinists and Aerospace Workers, or IAM, turned down the proposed three-year contract, replacing one that expired May 6, and immediately went on strike. The union announced the strike vote but did not immediately offer additional details, such as the margin of the vote. The strike affects ULA's main manufacturing facility in Decatur, Alabama, as well as launch sites in Cape Canaveral, Florida, and Vandenberg Air Force Base, California. Picketing reportedly started immediately after the strike vote. "Be cautious when entering & exiting Cape Canaveral Air Force Station due to union strike activities," the U.S. Air Force's 45th Space Wing, which operates Cape Canaveral, tweeted late May 6. "Anticipate possible delays." The union's negotiating team had recommended members reject the contract, citing various provisions it deemed unacceptable. Those issues ranged from increased health care costs and contributions to retirement plans to travel pay and procedures. "By voting for this contract, you are letting ULA take away many of your benefits and future money, as well as that of future generations of Machinists," the union advised its members. "This strike is centered around many issues, but above all has amplified the message that our members want to be valued and respected in the workplace," said Machinists Union International President Robert Martinez Jr. om a May 7 statement. "The full force of 600,000 Machinists Union members across North America stand with our members at ULA." ULA argued that its proposed contract, which included a ratification bonus of $6,000 and wage increases of 1.5 to 2 percent per year, was "well above market" compared to other aerospace companies. "We're disappointed that the IAM members rejected ULA's last, best and final offer and voted to strike," Tory Bruno, president and chief executive of ULA, said in a May 6 statement after the strike vote. "We believe our proposed contract is very competitive with other companies. Importantly, ULA's final offer contributes to ULA's long term viability in an increasingly competitive launch business environment." Prior to the vote, the company said its operations would not be affected by a strike. ULA confirmed that in its May 6 statement, saying it would "implement its strike contingency plans while focusing on meeting its commitments to our customers." The vote took place a day after ULA's most recent launch, of an Atlas V carrying NASA's InSight Mars lander spacecraft. 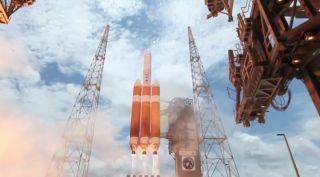 The next ULA mission isn't until the end of July, when a Delta IV Heavy is scheduled to launch the Parker Solar Probe mission for NASA. The complex trajectory of that mission, which involves a series of Venus flybys to help the spacecraft get closer to the sun, requires that it launch during a window that is open for about three weeks.